What if you took the birthplaces of all the US born major league baseball players since 1900 and mapped them into 50 states of equal size? And what if you gave them cute names based on a famous ballplayer who was born in that imaginary state? You would have this map. If you did it for current ML players, you would have this map. I was born on either Long Yastzremski or Markakis York. And you would have this story that maps the birthplaces of NLF, NBA and NHL players, too. 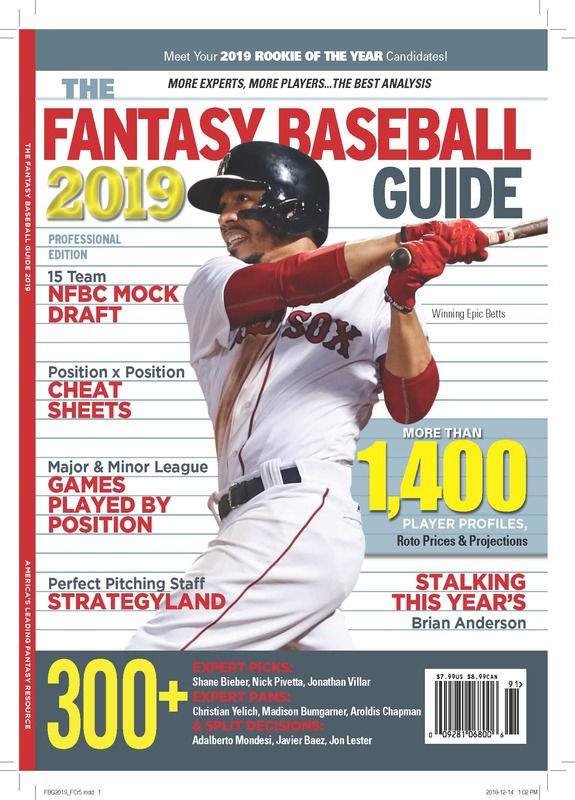 Nick Minnix does a fantastic job surveying the fantasy baseball business at Hardball Times, looking for the games’ next big thing. He covers a lot of ground, with insightful reporting and a light touch with the analysis.Â Highly recommended for fantasy players. Why the Washington Football Team Should Adopt a New Team Name. I have no doubt that for many the use of the Washington NFL team’s nickname is meant to be an honor. My objection to the name is simple. There are many Native American tribes and groups who are opposed to all uses of Native American imagery and reference for non-Native American sports teams. There are many individuals of Native American descent who are similarly opposed and have said so publicly. I’m aware that many other Native Americans say they’re proud of the names and teams, and I’m certain the reason there is a debate now is because of this ambivalence within the community. But what I hear in the objection is more personal and moving than is the support. Many people find the use of the nickname painful and demeaning and would like it to stop. In 1972 the Stanford sports teams stopped using Indian imagery and references for their team names. My favorite college, St. Johns, stopped using the team name Redmen years ago, as have many other teams at every level in the US and Canada. They’ve done this out of respect for the Native Americans who have objected, who have said that using the names is disrespectful and hurtful.Â For me, that’s the side I want to be on. One thing I learned from this discussion was that the state name Oklahoma is a combination of two ChoctawÂ words that add up to mean Red People. The funny thing about this is that the state is proud of its Indian heritage, and features on its shield five flags, each representing one of the major Native American tribes that reside there. I say funny, because these five tribes, the Creeks, Choctaw, Seminoles (isn’t that the name of a Florida football team? ), Chickasaw and Cherokee were forcibly resettled in the state. Not, I’m assuming, because of its bountiful natural resources.Â There’s a reason this forcible relocation from their homes in the southeastern part of the US, in a devastating march west, is called the Trail of Tears. This is a heritage all of us live with, even if many of usÂ don’t think about it all that often. Which is why I listen when I’m reminded Â of it, especially by people whose personalÂ history has been so starkly and dramatically colored by it. For me, if our continued use of their caricatures on our sports teams is painful, itÂ is time to stop. In any case, I hoped to provoke discussion and thought about the use of Native American names and imagery by omitting the Washington team’s name from the Guide, and I appreciate the letters from those who have objected to it, as well as those who’ve spoken out in support. If we continue to discuss and argue about the real issues here, I’m sure we’ll eventually come to a proper resolution. I’ve received a handful of letters from people who either didn’t buy the Fantasy Football Guide 2014 or wished they hadn’t bought it because of a short statement in the Letter From the Editor explaining why we weren’t publishing the Washington football team’s nickname in the magazine. But none of them explained to me why they thought the team name should be kept. Now two have. “Does the NFL have any franchises called the Ballerinas or the Butterflies? No. To the franchise and to the fans, the name Redskins pays homage to the courage, strength and perseverance that native Americans represented in the past and what the players and fans cloak themselves with every time they don Redskins apparel. Today, the logo and name represent strength and honor and also has bonds to championship franchisesâ€¦â€¦the pinnacle of achievement in the NFL. The term Redskins and everything associated with the logo represent pride and dedication and we should realize that nobody is looking to denigrate native Americans when they wear the colors or the logo. Also, I think your magazine needs to realize that the National Football League is a multi billion dollar industry and that you earn your living from one of its very lucrative spin offs. If you choose to profit from the behemoth that is the NFL, then you should have respect for the entity and its franchises. If you choose to protest, that is great, but when you are giving content based on factual data, you should be mindful of the fact that the proper name of the National Football League franchise in the city of Washington DC is the Washington Redskins. “I would just like to take this time to say I regret purchasing this years copy of your magazine. I quickly realized you decided to remove the proud Redskin name from its pages. It shows just how uninformed and uneducated you guys are in regard to the name. You fail to recognize the word was created by Native Americans themselves in an effort to differentiate themselves from Caucasians and African Americans. You fail to recognize the current team logo was created by Native Americans. You fail to recognize that the majority of Native Americans are proud of the name. You fail to recognize many high schools and colleges throughout Oklahoma still proudly use the Redskin team name. How about the word Oklahoma which literally translates to “red people.” Should we change the name of our states too? You fail to recognize that the word “Redskin” has a new contemporary meaning. And you fail to recognize that there are fans all over the world that worship the Washington Redskins and in doing so respect Native Americans. But since you guys at rotoworld are so compassionate and it seems like you want to help Native Americans why don’t you actually do something about it? Why don’t you help them get electricity, running water, roofs over their heads. What is your goal by removing the name from your pages? You literally have fixed nothing. With minimal research you would find Native Americans have much bigger problems than the name of a football team. If you care so much, why don’t you do something that will actually help. Instead you were lazy and came off as uneducated. It is evident in the issue your brand has very little knowledge of the word Redskin. Josh Levin and Jeremy Stahl at Slate do some sleuthing about a website that has popped up that presents itself as the work of former Redskins players, but is actually (apparently) the work of the PR firm Burson-Marsteller. Which is fine. I could list all of Burson-Marsteller’s heinous clients and former clients, as a way to cast doubt on this enterprise, but that’s the way PR works. Those who want to shape public opinion hireÂ experts to create arguments that appeal to regular folks, whose regular voices resonate more widely than regular advertising or political graft might. Or give ideas authenticity, at least. And I’m sure BR also has some non-heinous and virtuous clients. It is not unreasonable, of course, for people to question the veracity of claims made by those buying ad and airspace trying to shape public opinion. We all should. There’s no smoking gun here, no defining moment of cynicism, but rather an example of how farÂ people who have money will sometimes go to try and sway the world to their opinion. The story also links to a Washington Post story from last November about William “Lone Star” Dietz, the legendary coach for whom the team was named. If you’re interested in this issueÂ it is a must read, since it clearly lays out the evidence about whether or not Dietz was actually a Sioux, as he claimedÂ his entire adult life. And it also raises the question of whether that matters. If DietzÂ was able to make everyone think he was a Native American (well, one fourth), and advocated for Indian rights and respect throughout his life, wasn’t it a sign of respect (as claimed) when team owner GeorgeÂ Preston Marshall named the team in his honor? Read the story to come to your own conclusion about that. Then we have to decide whether, even if that was the intent (then), that matters now. DEAR ROTOMAN: I Love the Washington Football Team’s Name Too Much to Buy The Fantasy Football Guide 2014! The Fantasy Football Guide 2014 appeared in stores last week, just as it has each of the past 15 Julys. It was also the week that my trusty but aging computer managed to breath its last. I had your magazine in my hand, ready to buy it, like I’ve done for the past 15 years. Until I saw your Letter from the Editor. I am buying your publication for football fact and insight, not mindless politically correct, cattle following opinions. When I see someone with other than white skin complaining then maybe I’ll look up and listen. The courts will rightly give back their trademark for all the obvious reasons. Until then, I’ll get my info elsewhere from more astute and football passionate people. I put your rag back on the shelf. Now, I bristle a little about the claim that political correctness is the reason reasonable people want to do the right thing. And while there certainly are times political orthodoxy has led to idiotic extremes, there are a lot of times that wanting to do the right thing leads to doing the right thing, once enough people turn political correctness into political power. I’m not rabid about the Washington football team’s name. I don’t think Daniel Snyder means to be racist or offensive, but it is clearly offensive to a broad swath of Native American people, and the idea that it originated as a tribute is fairly laughable. Read this story by the Washington CBS affiliate to the end to understand why, as well as to see how the name is acceptable in some Native American communities. Comparisons to the N-word in its defense are not a winning argument. Suggestions to change the logo to that of a potato with the same name got my support in the Guide, by the way. Artwork by PETA. Those who read the Fantasy Guides and this blog and my posts on Twitter (@kroyte) and Facebook (PeterKreutzer) know that I think discussion changes minds. Me telling you something might get you to put the magazine back on the rack, but my hope is if you and I get to talkingÂ we’ll each gain a better understanding. Together we might get to a better idea. So please write if you disagree, let me know why, and give my arguments as much ofÂ a shot as I give yours. In Mike’s case, his main point was that my point was pointless because I’m a slave to a political view that has no Native American supporters. Thanks for writing. I think there are more than a few people with other than white skins who are complaining, which is why the tongue in cheek suggestion that the Redskins refer to potatoes seemed to me like a light-hearted way to comment on this situation. Clearly you disagree, and I’m sorry about that, since the editorial content of the magazine is exactly the same as it has always been. One word has been excised, and the editor explained why he thought that was a good idea. Have a great season. We will miss you. No, that’s not the title of a long shaggy-dog story by Erik Malinowski posted today at Rob Neyer’s new Fox-affiliated baseball site. The actual title is Pitchman: How Tom Emanski Changed the Sport of Baseball–And Then Disappeared. This is not a good title. It’s debatable how much Emanski changed the game of baseball. The telling of the tale shows him to be more of an a striver who ended up in the right place at the right time who happened on a good idea than a visionary who saw something and decided to make it better. But that’s quibbling. Shot over the course of a week in Union New Jersey, with consulting help from NBC’s baseball director John Gonzalez, and deft production from NBC sports producer David Stern, our Little League instructional was a good-sized hit. Rave reviews in newspapers across the country, the Village Voice loved it, an A grade in Entertainment Weekly and apparently decent sales, led to a tie-in book, which Ted and I wrote for Doubleday, called the Official Little League How to Play Baseball Book. I don’t know the video sales numbers, but I do know the book sold more than 100,000 copies, and was still selling thousands of copies a yearÂ before falling out of print a few years ago. We’re trying now to get it back into stores, and as an e-book.Â But enough about me. Malinowski doesn’t nail the story. He never does speak withÂ the modern day Emanski, and clearly never has enough info to make a true mystery about what madeÂ this baseball obsessive disappear. Illness? Certainly not shyness, but is he a tax cheat? Does he harbor some dark secret? Or is he just tired and happy to move on? Malinowski has nothing but conjecture, which isn’t very satisfying. He also fails to do the math to show just how much money Emanski may have made out of his enterprise, which seems like a material part of the mystery (if there actually is a real mystery, apart from his subject’s withdrawal from public life). Malinowski talks about the Baseball World camp, which was charging kids $100 per week for individualized baseball instruction using video. Â That doesn’t sound like Â a big money maker, even running full time from April to September each year. And when the video really started selling, they shut the camps down. Money might have been made, but Ermanski didn’t get rich on Baseball World camps. He also talks about the videos, which were sold via direct marketing on ESPN from 1997 to 2007. But a reality check on the math says ESPN got $10 of the $30 list price. A telemarketing company would no doubt charge a few dollars to process each sale. A credit card company would take a cut. VHS and DVD production and packaging might cost a few dollars per piece, unless the quantities were high (and if they are then the storage costs for inventory would chew into the profits). Plus, there are shipping costs. It sounds like the productions were bare-bones, so there were no doubt profits to be made, but it’s hard to see how Emanski made $76 Million, as one folktale the story cites implies. If he were clearing $10 a tape, which is possible, Ermanski would have to have sold more than 7 million tapes to have pre-tax profits of $76 million. That doesn’t seem plausible, but then, who knows? Malinowski does say that the commercial ran more than 50,000 times, which sounds like a lot. But if they sold 100 videos per showing they would only get to 5 million videos, and 100 per showing would be a crazy number for a commercial dumped into time slots when ESPN wasn’t selling real commercial inventory. But, of course I don’t really know. And still, despite the thinness of parts, I enjoyed the story. Ermanski’s is a tale like many on the periphery of baseball, of the love for the game, of a devotion to getting something done, with all the quirks that come along with the personal approach. And it’s full of resonance. The section where real players are quoted calling mistakes Ermanskis is lovely, connecting the bigger world to this quirky story. Maybe not 5 million tapes, but the meme is out there if Dustin Pedroia is on it. So it doesn’t matter a great deal that Malinowski doesn’t nail it. Maybe it wasn’t all the story he imagined, at first. Or maybe Ermanski has chosen exile rather than expose himself to the price his past exploits might exact, and his past is fiercely protected. Maybe that’s why the Crime Dog seems to have wiped his hands of him. (You have to check out the story just to watch the video of McGriff’s commercial pitching the videos.) Whatever. Here’s a window on baseball culture, maybe not the last word, but many other words opening up the broad swaths of something, and suggesting where maybe more of the story lies. LINK: How Have Pitch Counts Changed Over the Years? I read somewhere that since the earliest days of baseball pitchers, on average, through on average 100 pitches per start. Seems that pitchers would mix up very long and very short starts, and end up at 100 pitches generally. Today, I found at the Sabernomics website, actual data on pitch counts over the years from 1988 to 2009, which shows much the same thing. Pitchers used to throw many more pitches in a game back then than they ever do today, but they also sometimes threw far fewer. And on average, the results are pretty similar. Of course, this is all the era of the five-man rotation, long after the days of pitchers throwing both games of a doubleheader. That’s when pitchers were men. Tony Horwitz has played in the Billy Almon league for 17 years and notes in this excellent short essay that trading by email isn’t as fun as trading by email or text. This story is published by Baseball Prospectus, but it is not behind the paywall. For a few years, when I switched from a landline to a cell phone, my ring tone was Bob Dylan croaking “Take Me Out to the Ballgame.” The American Dream League trophy is topped not by a swinging slugger (like Ralph Kiner) but by an old fashioned Bell telephone. Before the internet our game was ruled by telephone skills. Today, my phone is wondrous because with two clicks I can get up-to-the-minute scores, and with one or two more watch any game but those of my home town teams. The most important telephone skill today is clicking tiny icons with fat fingers. I agree with everything Tony says, and yet talking on the telephone now seems a chore. In the old days, before there were wolves in Wales, to quote Dylan Thomas, my fantasy life was front and center in my family life because of the phone calls. They came when they did, they interrupted work or play, and they couldn’t be easily shifted to some point of pause. They could not be moved to that time when everybody else is in bed and I can study clips of the pitcher on offer, comparing his visuals with the numbers at Fangraphs, concocting some sort of narrative to justify adding him to my team (at such a cost!) or throwing him in (for that?). With email I imagine I spend less time managing my teams, but I may not. What I’m sure of, however, is that my family and work pays less dearly for my obsession. ASK ROTOMAN: Does Sizemore Matter? What are your thoughts on Grady Sizemore? In the Fantasy Baseball Guide 2013 we ran profiles of both Grady and Scott Sizemore. With Grady we noted his three microfracture surgeries, his possible timetable of a midseason return, and said it was best to have no expectations. Scott Sizemore was expected to be healthy after surgery to repair his ACL, which he tore in 2012. $3 I said, for the As third baseman. But Scott Sizemore again tore his ACL in the second game, thus ending his 2013 season. Meanwhile, there was no sign of Grady. Which is why I decided to scratch both of them from the 2014 Guide. Oops. Now they’re back. Scott Sizemore is competing with the equally back-from-the-dead second baseman Brian Roberts for the Yankees job at second base. And Grady is trying out with the Red Sox, ostensibly to serve as their fourth outfielder. Here are the knocks on Grady. He hasn’t played a full season since 2008. He was passably productive (.788 OPS) in 503 plate appearances in 2009, and has been ineffectual when not not playing since. That’s a lot of down time. But Grady was a finely conditioned athlete (see illustration), and presumably hasn’t shirked on the upper body while rehabbing his knees. Still, keeping muscle tone (and this isn’t a recent selfie, this is from 2009) is easier when you’re 31 (turns 32 in August) than it is to keep your bat speed and timing. Especially after years of not facing real pitching. Which isn’t to say he can’t do it. I was skeptical last year of Victor Martinez coming back effectively after a year off. I could find little evidence of other hitters at his age missing a full year and becoming effective regulars again. Martinez, of course, did just fine. History is a guide, not a destiny. So, Sizemore has age on his side, but has essentially missed his entire prime to injury. He lands on the post-prime part of his career with a history that offers only caution and hope. It would be nice if he regained some of his career, wouldn’t it? The nice thing for fantasy players is that he’s a late-round low-cost flyer at this point. Skepticism is damping down his price, while there is a real chance for playing time if Jackie Bradley Jr. doesn’t grab hold of the starting job or someone gets hurt. That could mean real value if Sizemore can actually play. The problem, of course, is that he’s a low contact high-walk-and-strikeout type of player, which means in a BA league he’s likely to hurt you in that category. He’s had a little power, and maybe will add to that, as guys often do as they move into their 30s. What made him specially valuable back in his glory days were his legs, but since they’ve been the motor of his downfalling, don’t count on big steals numbers. Still, you have to think that if he’s going to make the team as a backup centerfielder that the legs will be healed. I haven’t put a projection in the software at this point because really? If you made me I’d say 300 AB, .235 BA, .350 OBP, 10 HR and 5 SB. I’d pay a buck for the chance that works out. I’d use a 23rd round pick in AL only. I wouldn’t assume any mixed league value. I would also wonder why I thought an obvious bad pun was a good idea for a headline?